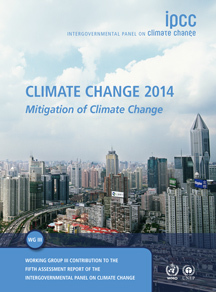 The Working Group III contribution to the IPCC Fifth Assessment Report (WGIII AR5) provides a comprehensive assessment of all relevant options for mitigating climate change through limiting or preventing greenhouse gas emissions, as well as activities that remove them from the atmosphere. It draws on scientific literature accepted for publication prior to 4 October 2013. The WGIII Summary for Policymakers was approved at the Twelfth Session of Working Group III, held in Berlin, Germany, from 7 to 11 April, 2014. During the session, the IPCC plenary also accepted the underlying scientific and technical assessment, which stands at close to 1500 pages, including more than 700 pages of references.